10 Comments on The Daily Bounce turns two years old! On the 30th of May 2016, I’ve made the decision to start writing my own blog about World of Tanks and World of Warships and two years later, millions of views and a lot more games covered, The Daily Bounce is here to stay! I’ve recently done a big giveaway to celebrate the anniversary, but I was lucky enough to get my hands on some last minute extra codes that I can share with you all! 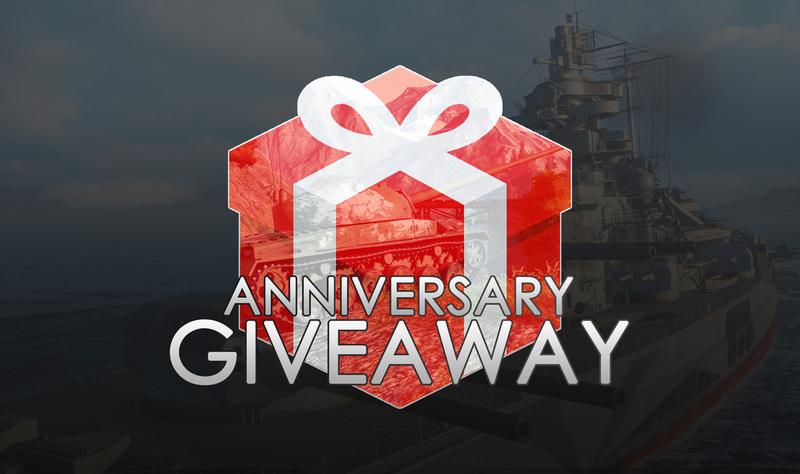 This time it will be a flash giveaway running for twenty-four hours only! There will be two different kinds of giveaway running, the usual Gleam where you just enter your details and a Discord exclusive giveaway, the prizes are different but you can enter on any that you like without limitations! Giveaway will run from 30 May 2018 at 00:00 (CET+1) to May 30 2018 at 23:59 (CET+1). Winners will be announced in this same article and on The Daily Bounce official Discord server on 31 May 2018. Go to #giveaways and follow the simple instructions to enter the desired Giveaway. x5 EU Region Matilda IV + Premium Day + Garage Slot codes. x5 WOT Console BT-SV + Premium Day + Garage Slot codes. I hope you enjoyed all these giveaways I was able to create for you and good luck everyone! Cool stuff glad i found this page..
Nice one, congratz on two years! May it long continue!!! Good Stuff, Happy Birthday and best of luck with the future! !